Have you completed 10th standard? 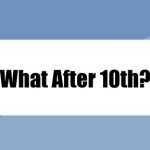 Wondering what to do after 10th? If yes, this guide will be of help to you. Here, I’ve listed down different types of courses available in India after 10th class. 10th standard is an important point in a student’s life. The stream/path that he/she chooses after 10th will play a huge role in determining his/her career path! Thus, choosing the right course/stream after 10th is an important task! With this guide, I’ll try to inform you about various types of courses available in front of you! In short, after reading this guide, you will be able to make an informed choice! This is the best and most popular choice among 10th passed students in India. After 10th, the most natural step ahead is – 10+1 followed by 10+2. Nowadays, most jobs require Bachelor’s Degree as minimum educational qualification required. In order to pursue a Bachelor’s Degree course, you must have completed 10+2 in the first place! This shows how useful this path is! Based on your aptitude and passion, you may choose an appropriate stream and go ahead with 10+1 and 10+2 studies. After completing 10+2, you may choose a professional course that is relevant to your stream (Arts, Commerce or Science)! 10th passed students may also pursue Diploma in Engineering courses! They must have had mathematics and science subjects in 10th class! After completing Diploma program, candidates may secure admission directly into the second academic year of B.E. (Bachelor of Engineering) or B.Tech. (Bachelor of Technology) course. This entry scheme is called lateral entry. ITI stands for Industrial Training Institute. ITIs offer job oriented training programs. The main aim of an ITI is to instill skills in students. Thus, ITIs raise a skilled workforce and helps them find employment! This vocational training program is popularly known as D.Voc. Technically, it is a Diploma certificate program. At its core, D.Voc. is a vocational training program. This vocational training program is three years long. Students who have passed 10th class are eligible to apply for D.Voc. admission. These are vocational training courses. The main aim of a domain skilling program is to develop industry-specific skills among candidates. State Governments and Central Government offers domain skilling programs through skill development initiatives. These training programs are offered at a nominal fees or free of cost! Eligibility criteria may vary from one domain skilling program to another. Most of the domain skilling programs out there can be pursued after completing 10th standard. These could be certification, informal or diploma training programs. Like other vocational courses, skill development programs are also aimed at developing relevant skills among students. These programs usually focus on a particular domain/discipline/industry. By the time a student completes the training program, he/she will possess sector-specific skills. These skills will usually get him/her employed. CAT stands for Certified Accounting Technicians. Students who have passed 10th standard are eligible to apply for CAT course. 10th pass students are eligible to apply for the first part. They may continue 11th and 12th schooling after applying for this program. your all articles are very informative.